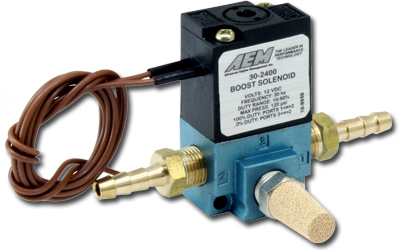 AEM's Boost Control Solenoid is specifically manufactured for automotive applications. It is designed to resist corrosion and sticking from exposure to rich fuel mixtures. 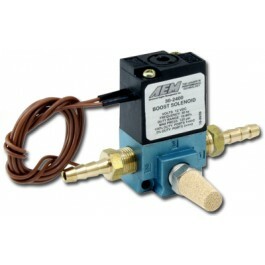 AEM's Boost Control Solenoid is pressure tested to 100 PSI and includes -4 AN fittings to reduce any chance of leaks.